2809 Highland Ave #1, Birmingham, AL.| MLS# 837623 | Richard Jacks UABLIVING.com 205-910-2297 | Birmingham AL Real Estate | Contact us to request more information about our Homes for Sale in the Birmingham AL area. LOCATION, LOCATION, LOCATION!! Open your front door to a beautiful view of Rhodes Park. Imagine sitting on the large front porch drinking your coffee or your evening cocktail. The Historic condo has so much to offer and is full of tasteful updates. 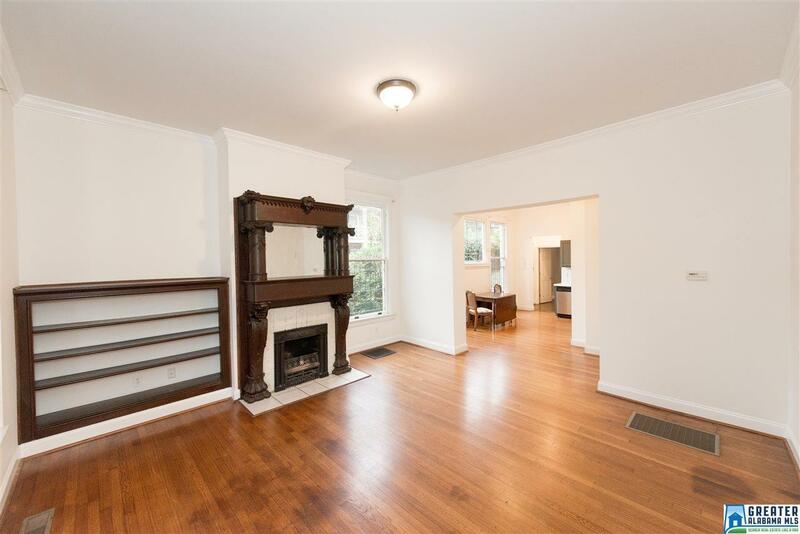 Living room features beautiful hardwood floors, crown molding & gorgeous fireplace. Spacious kitchen with updated cabinets, stainless steel appliances, subway tile backsplash & eat-in area. Main level unit & private parking! What more could you ask for?! Schedule a showing today!